As NY City real estate continues to expand and grow into the sky, one thing I always enjoy thinking about is that behind every window in every building old or new… there are people living or working. There must be many millions of windows in NYC buildings, maybe even a billion! And the millions of people behind these windows have their own unique view of our wonderful city. So when I am on assignment as a professional photographer, whether it be as a portrait photographer or as a meeting or event photographer, I always enjoying seeing the location’s view of the New York City skyline, and trying to incorporate these views into the photos. 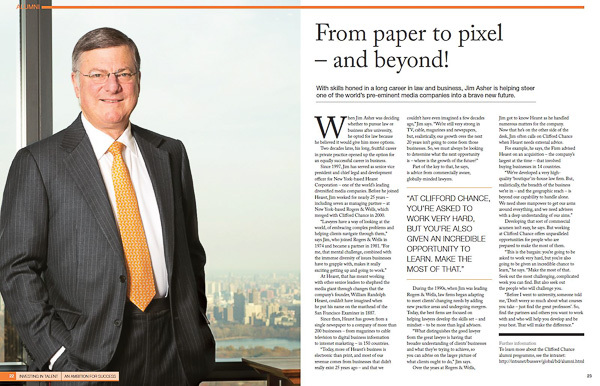 This business portrait was taken high atop Hearst’s beautiful and amazing building on West 57th Street. The views northward of Central Park served as a perfect background for this magazine assignment. While it was a bit tricky to light the room and not get reflections on the glass, it served as a perfect setting for this executive’s photo, and I was very grateful for his hospitality and kindness throughout the shoot.